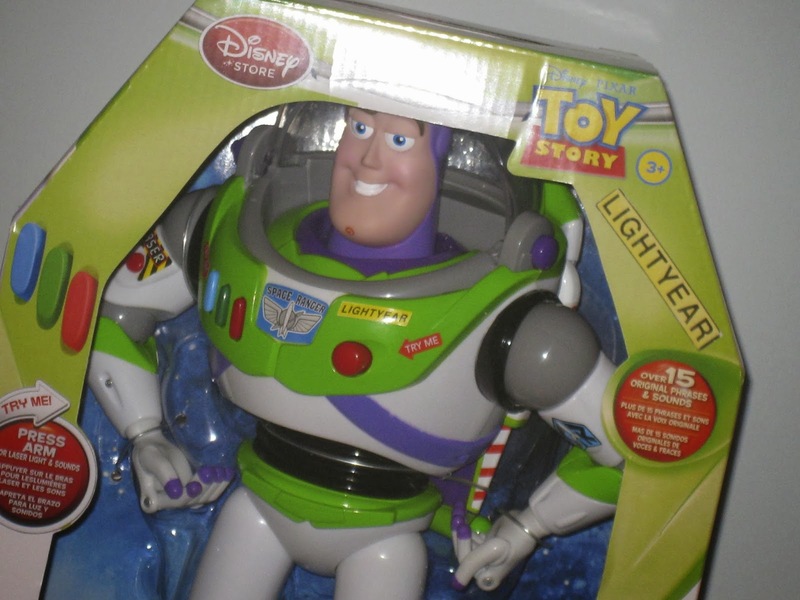 So around Christmas time, this Disney Store version of Buzz was on sale for a steal of a deal. 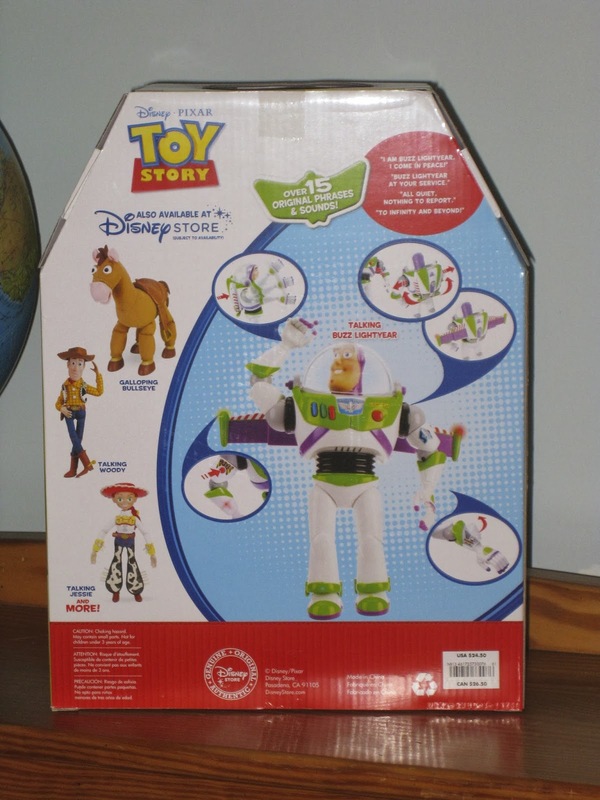 Even though I already have the definitive Toy Story Collection (TSC) Buzz, I just had to grab this one for three words: Karate Chop Action. I don't usually ever get two of the same character (in a case like this) but I couldn't help myself with this one. As much as I love the TSC version, I was a little disappointed that they didn't add the classic "Karate Chop Action" as seen in the movie as well as the helmet "swoosh thing." 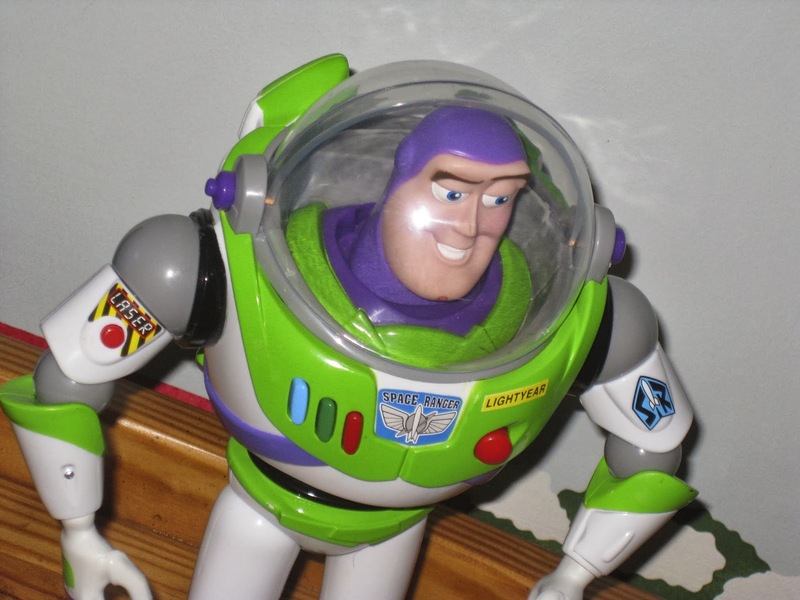 This Buzz has basically everything the TSC version has (opening wrist communicator, light up pop out wings, laser, glow in the dark paint and the voice simulator) but adds the "Karate Chop Action" and, for lack of a better term, a half "swoosh thing" (meaning the button on the side of his helmet does make the helmet go up, but only half way. In the movie, it goes all the way back. I guess a half swoosh is better than no swoosh :). Now, I'm not saying that this one is better than the TSC one (as I know this one is of a much less quality make and sells for only $25), but it was cool enough to get (and worth the small price tag) for the additional features. NOTE: Just so my TSC Buzz doesn't feel bad (since I think he reads this blog ;), I need to clarify that he has not been replaced. 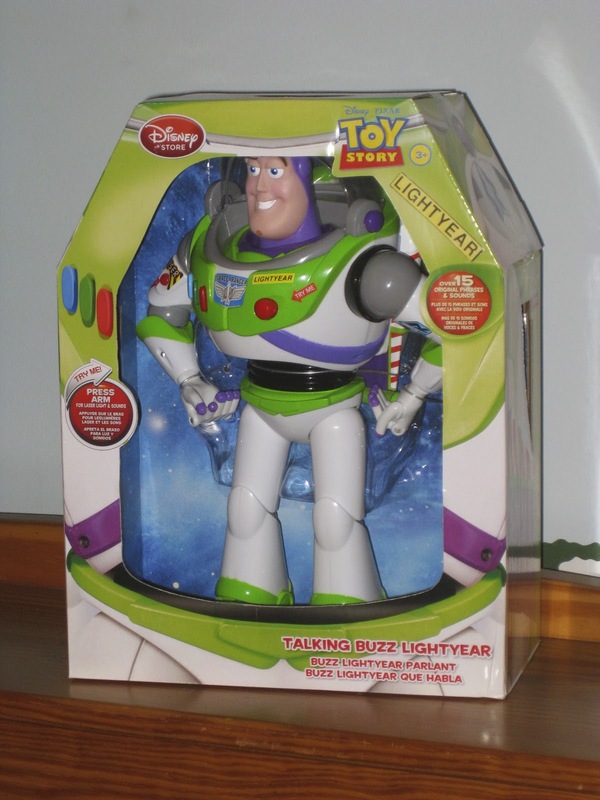 I like both for different reasons and this Buzz will be a great starter Buzz to give to my kids someday before they get old enough for the higher quality TSC one. 2.) That he breaks easily (this I can't confirm since I don't play rough with him like a little kid would. He seems pretty well made to me for only $25). Overall for me personally, I'm actually really happy with this Buzz! He stands easily without falling, has "an impressive wingspan" and has a pretty movie accurate facial expression. Below is a video of his features in action (sorry for the quality, it's just recorded on my little point and shoot camera and it was hard to show all the features with just one hand). As always, a big thanks for stopping by! I really appreciate the support I've been getting and hope you visit back here again soon. 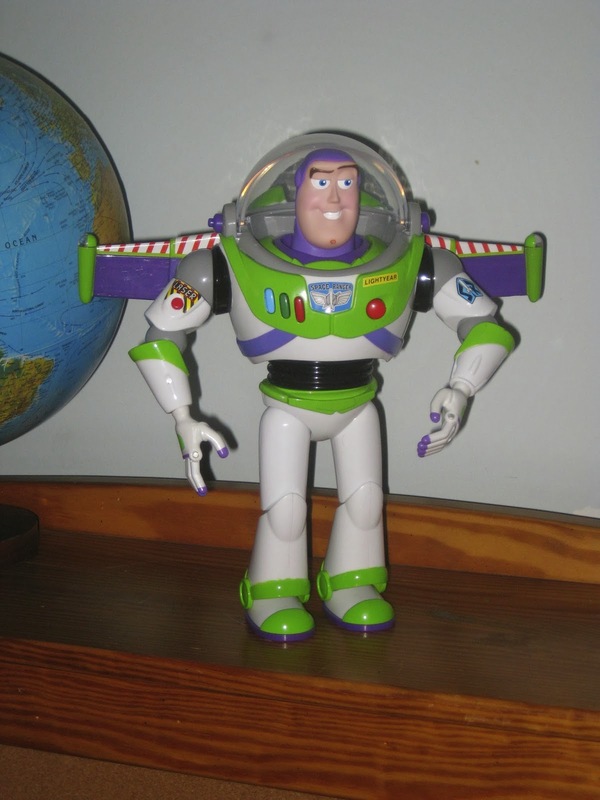 Check back daily for even more items from my Pixar collection! "I guess a half swoosh is better than no swoosh :). " That's funny!! It is cool that his karate chop action is included in this one for sure! Yah I'm super excited for that feature! When I opened it, I was just having wayy too much fun with the "chopping" lol Totally worth it! I'm still surprised that the TSC doesn't have it, this shows that it's possible to have all the features.